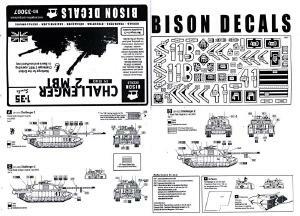 Bison Decals are a company specializing in small scale (1/72 & 1/76) armor decals, but recently they introduced several 1/35 decal sets to their offer. 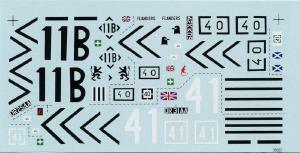 One of those sets is reviewed here small decal sheet for British Challenger 2 tanks in Iraq 2003 war. There are markings for three tanks included in the set. The set is packed in a heat sealed plastic bag with a small decal sheet (67 x 130mm) and folded instruction sheet inside. Instructions are printed (or photocopied to be exact) on one side of a single A4 paper sheet and folded in such a way that one quarter of the sheet becomes a "cover" illustration for the set. As no decal numbers are printed on the decal sheet itself, there is a decal placement diagram printed in instructions. Instructions are quite clear regarding the placement of decals and include a list of references (mainly Internet addresses) and a template to make front turret Combat Identification Panels. Decals were printed by Microscale and are up to usual standard offered by this company. There are just minimal color register problems visible on Union Jacks, but all decals are useable. Decal film is very thin and glossy. As with other Microscale printed decals, also here the use of their Set and Sol decal setting solutions is recommended. Click on picture to enlarge it. A close-up of one of marking options. All three tanks were painted in overall sand color. 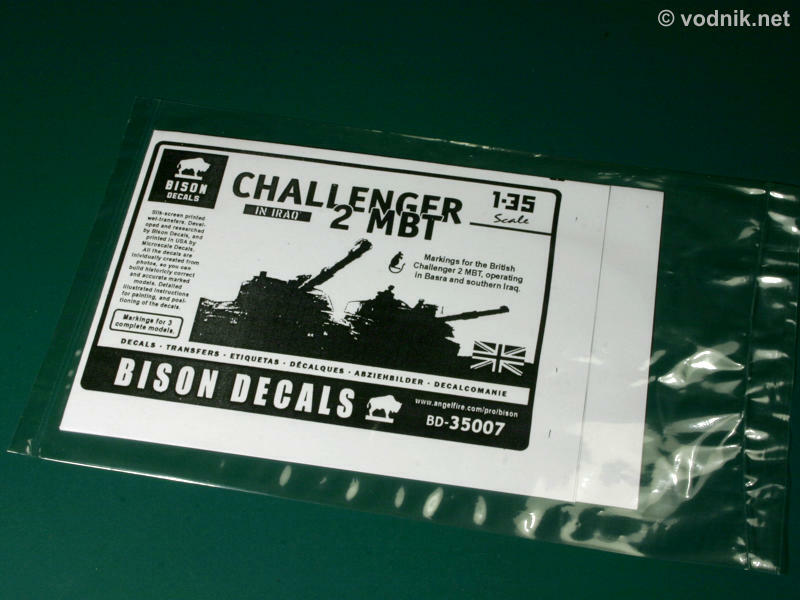 According to information on instruction sheet "all the decals are individually created from photos" and I easily found pictures of two of those tanks in my collection - my guess is that Bison used the same photos as their references. Both photos however show only the right hand side of each tank, so either Bison managed to find some additional photos, or they just took educated guesses about markings on other sides of those tanks. 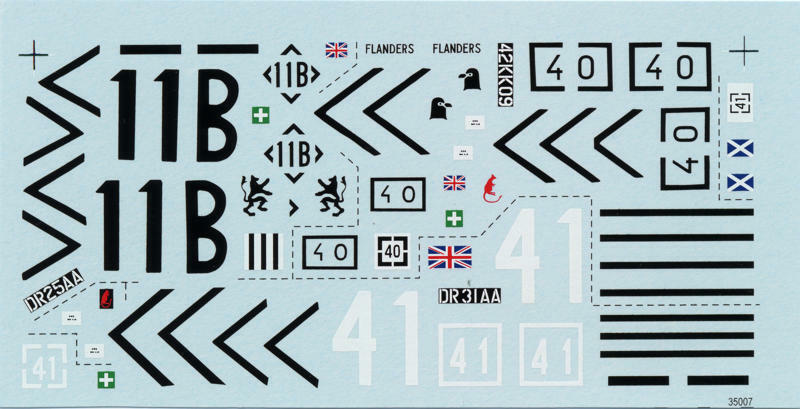 Markings for tank <11B> (option A) are also included in Tamiya Challenger 2 (Desertised) kit, but there are some small differences between Tamiya and Bison markings. For example Bison show the black stripe on both the upper and lower side of the gun barrel, while Tamiya gives decal only for the top of the barrel. On my relatively low resolution photo of this tank, it looks like Tamiya decal is more accurate here. Another difference is the shape of Rampant Lion insignia - Tamiya provided very nice and detailed decal for it, while Bison decal hardly looks like lion at all. On the other hand the photo of real tank, while not clear enough to show details of this insignia, shows that the general shape of it seems more accurate on Bison decal. So it is very likely that marking on the real tank indeed only remotely resembled traditional Scottish Rampant Lion. There are also differences in markings on the rear of the tank (e.g. completely different vehicle registration numbers), but without reference photos I cannot say which markings are more accurate. There are three extra decal included on the sheet, not used for any of three options. 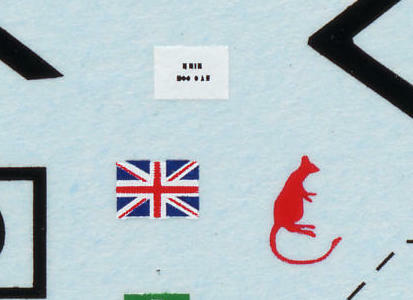 These are two extra exhaust shroud warning labels and one red jerboa in a black rectangle insignia of 7th Armoured Brigade. While it is not shown in instructions, I wouldn't be surprised if one (or both) of tanks in options A and C had such insignia attached to the TOGS front door, as this was common practice on RSDG vehicles. Very minimal color register problems are visible on the Union Jack. Text on exhaust shroud label is represented by black dots. 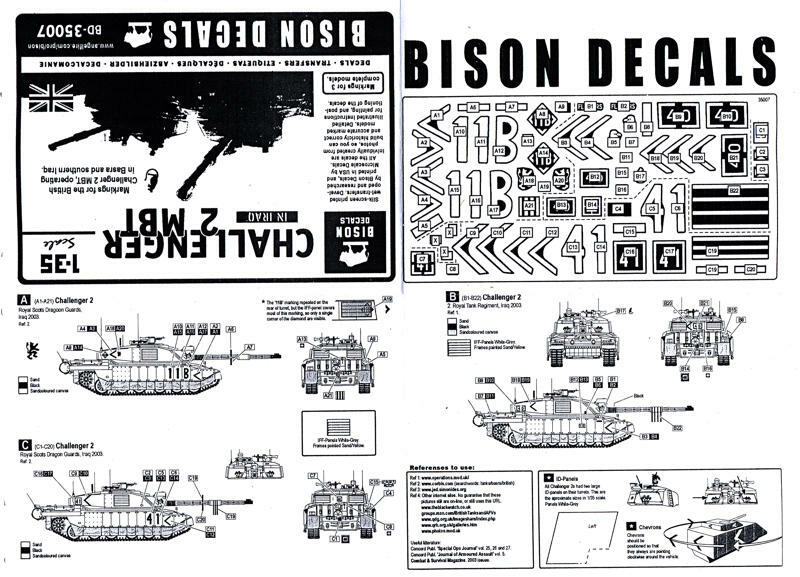 Bison decal sheet is quite interesting, although somewhat redundant for owners of Tamiya Challenger 2 kit, who already have decals for one of three featured tanks (option A) and also decals for a tank with very similar markings as those in option C in Bison set. Decals are however much better than those included in Trumpeter Operation Telic Chally 2 kit, so I can recommend them for these models. Many thanks to Johan Lexell of Bison Decals for the review sample! For a list of Bison resellers and distributors, visit Bison Decals website .